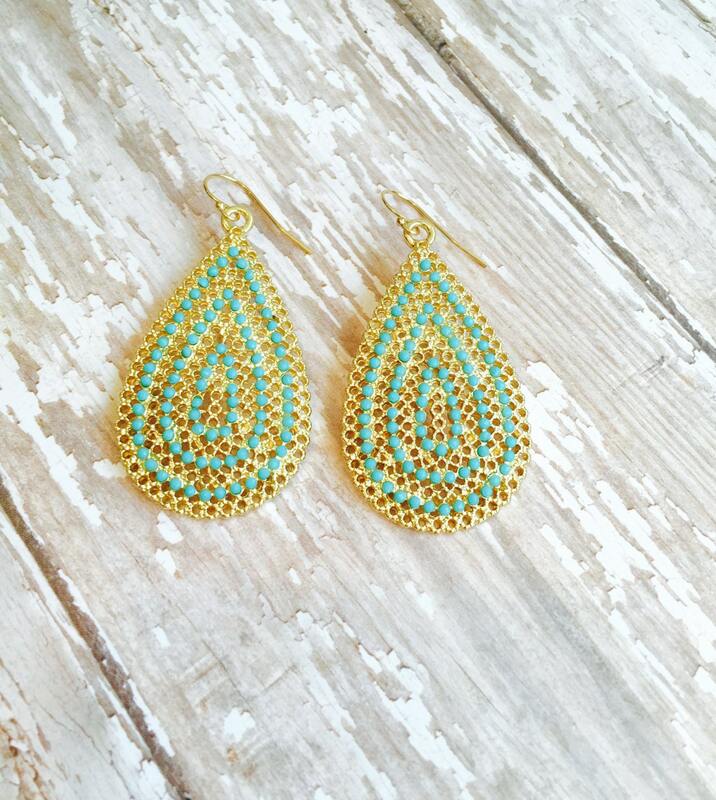 These turquoise statement earrings are sure to become a favorite in your wardrobe! 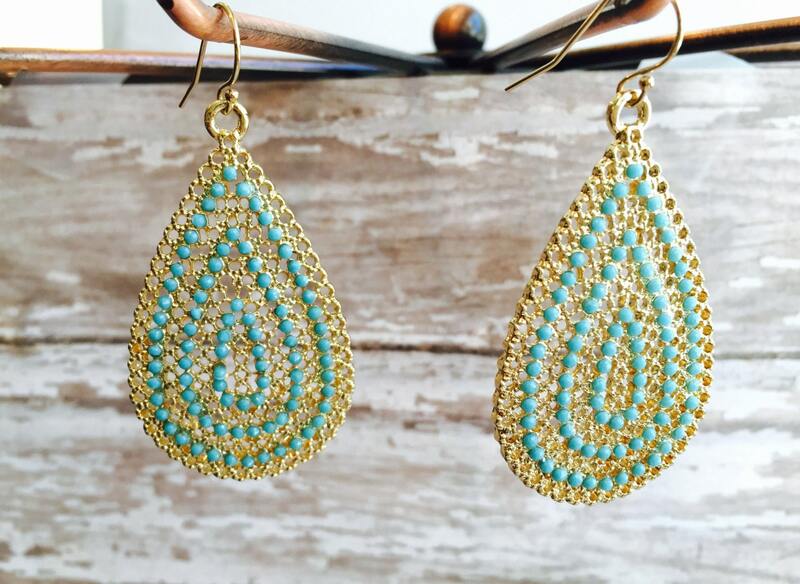 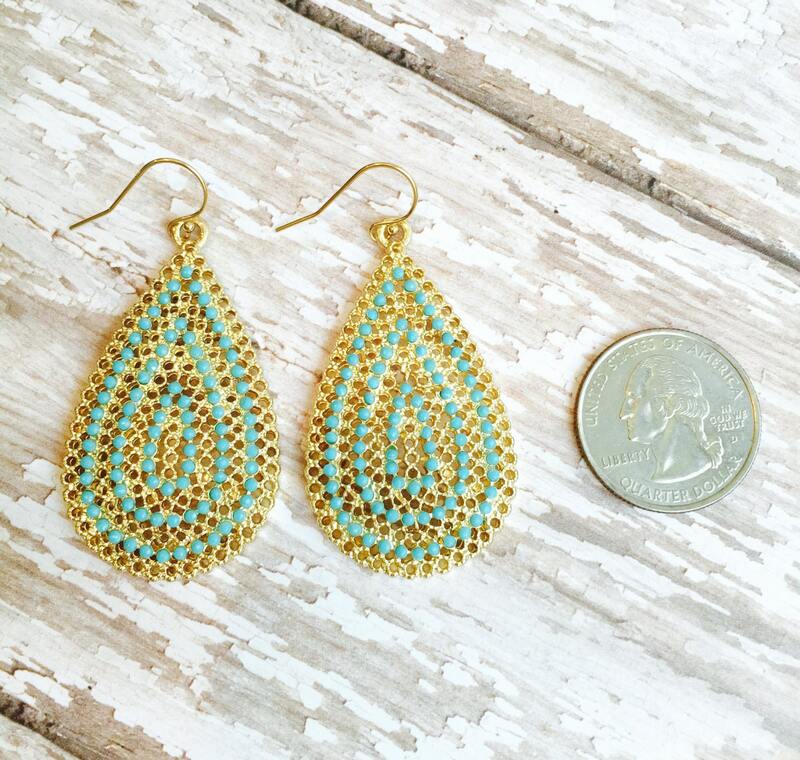 Made of tiny blue turquoise beads on a gold plated filagree teardrop, they boast a 3" drop. 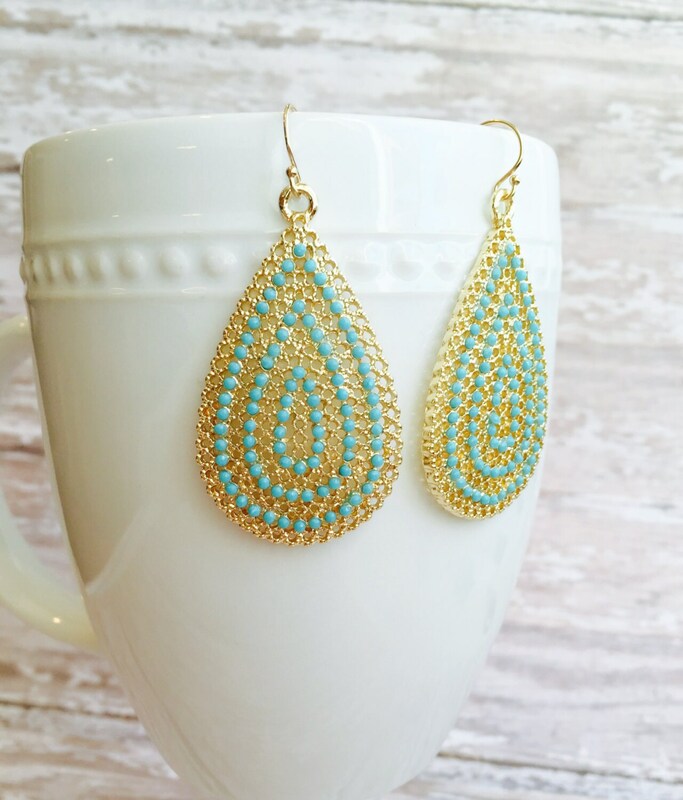 They are sure to get noticed and turn heads! 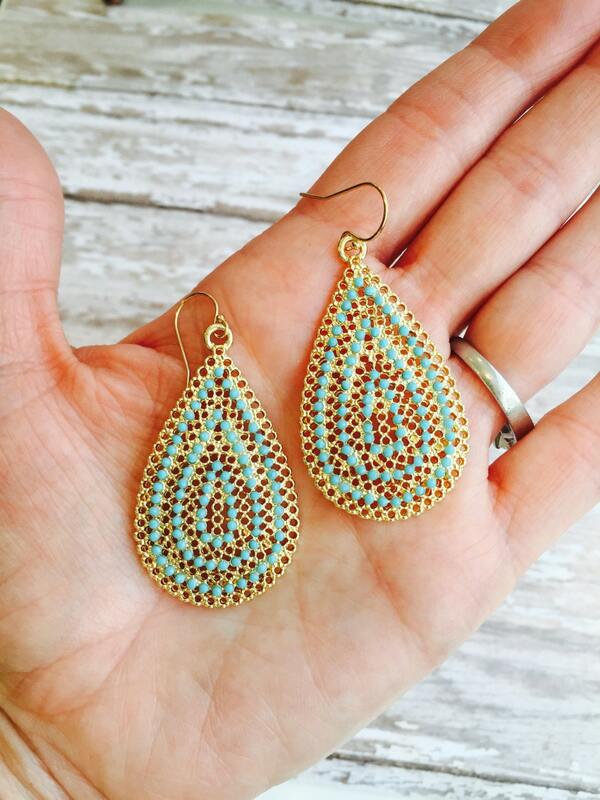 -Dozens of tiny turquoise beads adhered to a filagree gold plated drop.